Build a Tango Skiff 17 stitch and glue boat with no prior knowledge of boat building and a modicum of woodworking skills. Take advantage of the nearby Hudson River and other bodies of water. Enjoy boating with my family, friends or alone. For more on why I selected this particular motorboat, read Boat Build Project – A Tango Skiff 17. Sides Stitched on the Tango Skiff – It’s a Boat! Step 2. 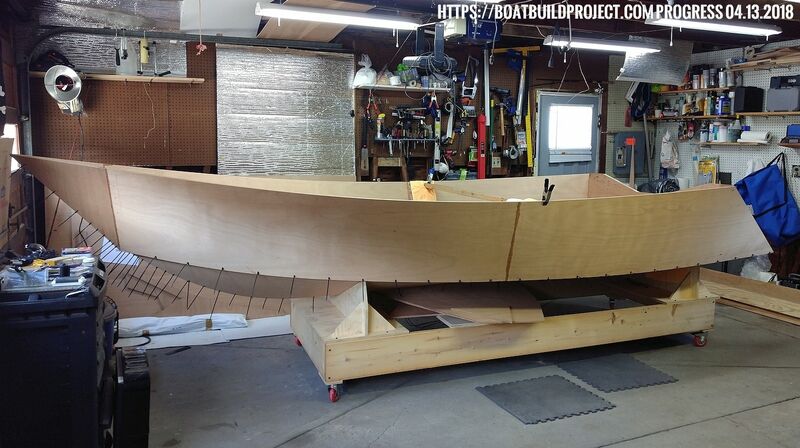 Follow Boat Build Project on Pinterest and Instagram. Step 3. Reach out with your questions, comments, and advice on the Contact page. Question: Why build a boat? b. Because being a full-time dad, husband, IT professional and student aren’t enough challenges. c. To build my practical skills for the inevitable zombie apocalypse. IT skills won’t get me very far. d. I’m going slightly mad. With everything I’m learning, the next boat should really be something… Wait. Who am I kidding? It’ll be a while before I can take on something like this again. But a guy can dream. Liveaboard retirement boat? Ocean-faring multihull? Why not both?